Trae, riding through the flood water, describes how he started saving people with the boat and assisting the fire department with friends to get to victims. 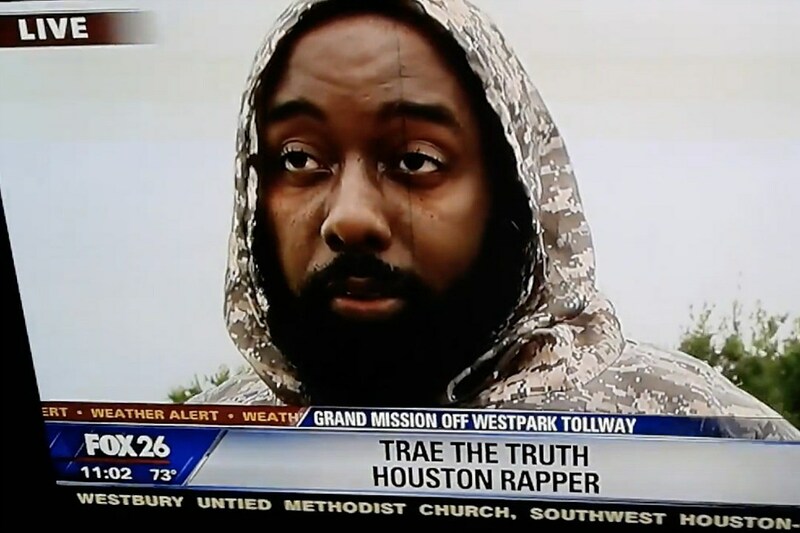 When asked by a Fox 26 reporter why he was braving the elements, Trae gave an answer that showed his compassion and how his experience with the hurricane made him want to help others in need. “I felt helpless yesterday when I had to be rescued, so I know that feeling,” he said.